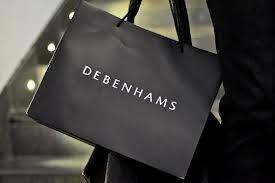 Debenhams has increased its expansion and online targets after it reported full-year profits rose both in the UK and overseas. Group pre-tax profits rose 4.2% to £158.3m in the year to September 1. UK sales rose 2.6% to £2.2bn while like-for-like sales excluding VAT rose 2% in the department store chain’s domestic market. International sales rose 2.7% to £503.4m while like-for-likes surged 4.6%. Group sales rose 2.6% to £2.7bn with like-for-likes up 2.5%. Group online sales increased by 39.8% to £250.6m.